Free Internet for Smart, Sun, TNT prepaid subscribers | How to register? 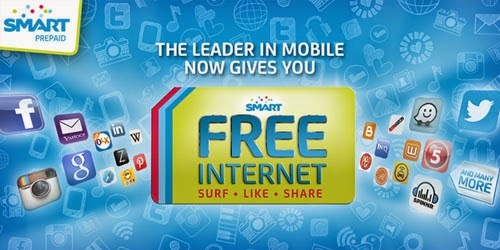 #SmartFreeInternet - Balita Boss! Philippine Long Distance Corp. (PLDT) chairman Manuel V. Pangilinan (MVP) announced on Friday, that prepaid subscribers of Smart, Talk ’N Text, and Sun Cellular be provided free internet starting September 26. The announcement was made in a room filled of PLDT media event at the Shangri-la, Makati. The free internet for two months turned out to be the “very important announcement” he teased on Twitter two days ago. Mga Kapatid, with my colleagues, I will make a very important announcement this Friday, Sept 26, 11 am, Makati Shang Hotel. See you then. "We aim to unlock the value of the Internet to the prepaid market, which is 90 percent of our users," Pangilinan said. Under the plan, all of the company's prepaid subscribers—Smart, Talk ’N Text, and Sun Cellular—will be alotted 30MB of free data access per day. Prepaid users who have at least P1 balance in their account will have free access to mobile Internet. That means you can shop online, read news, search for information in Google, send and receive emails, use apps like Facebook, Twitter and Instagram to update your social media, Spotify to stream music, and update your blog through WordPress, Blogger or Tumblr account at any time. The program for Smart, Talk N Text and Sun is said to be part of the "Internet For All" campaign of the country’s biggest telecommunications company. Pangilinan assured that they are ready to handle the traffic. "Our network is ready to handle this program for our 66 million subscribers," MVP said. The special offer is good until November 30, 2014. After this period, the company will assess whether or not to continue the service for free. To avail of the free mobile internet offer, Smart, Talk N Text and Sun Cellular subscribers must have an available airtime balance of at least one peso. To register, simply text FREE and send to 9999. Take note that you have to register everyday to use the promo. Registration is free.